These are some chalk pieces I've had the opportunity to create for clients along with some personal works. Personal project that I made during a bad snow storm. Another personal project done on a freshly painted chalkboard. 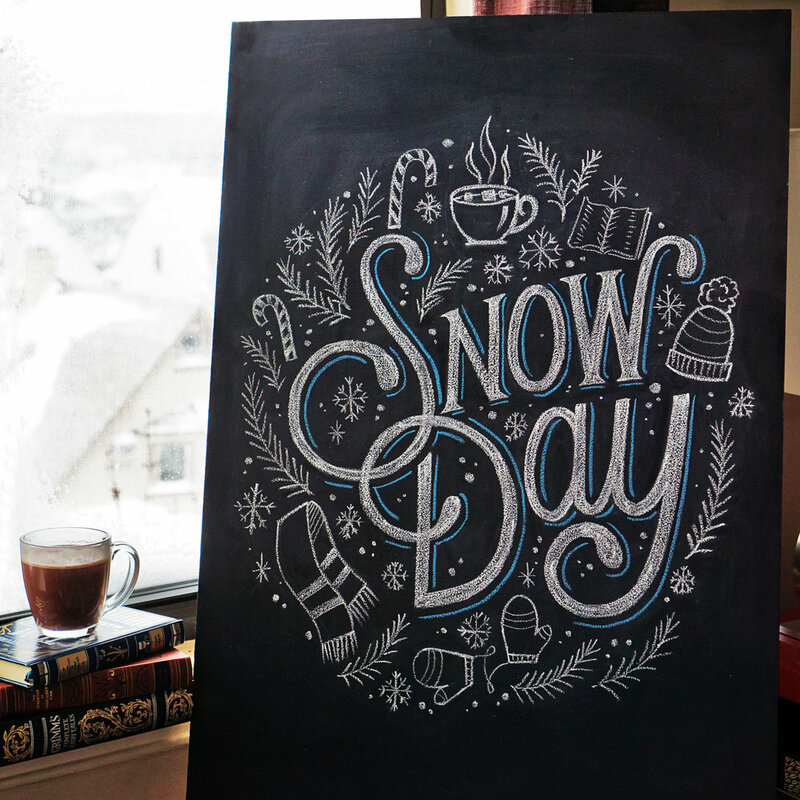 Chalkboard created for an event at the branding and packaging agency, Johnson And McGreevy. The border and everything above the word "Welcome" was part of an existing template on the wall. A concept chalk drawing created for the entrance wall at the agency Doremus. Personal chalk lettering sign I created to go with a sleepy dog I was watching for my neighbor. I drew this chalkboard for my own wedding to put at the entrance of our outdoor ceremony space and welcome guests in. A menu chalkboard created for a wedding at the Green Building in Brooklyn. Another chalkboard for the same wedding at the Green Building. Chalk menu created for Little Choc Creperie in Brooklyn in 2018. Chalk menu created for Little Choc Creperie in Brooklyn in 2017.